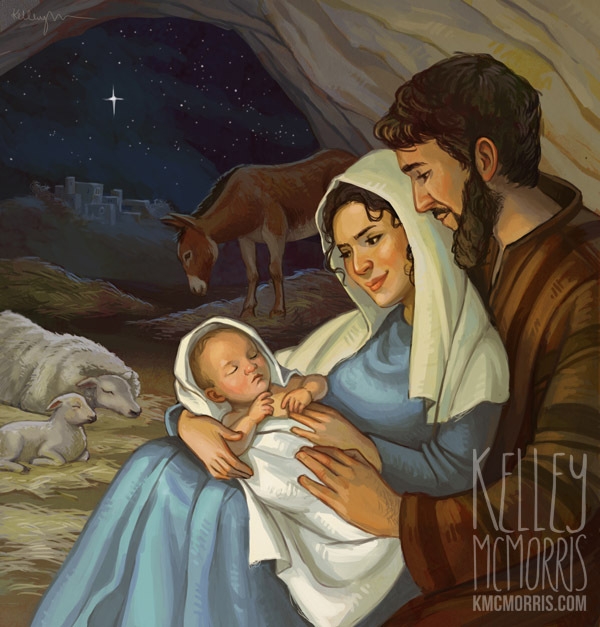 This year I am retiring from doing illustrations for Lifeway's Explore the Bible series. 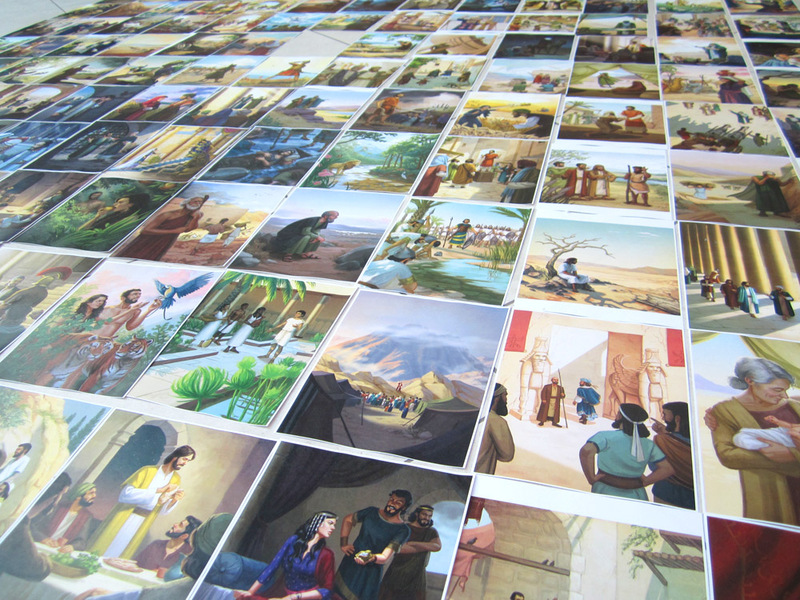 I've been working for them for the past 3 years, and over that time produced 168 illustrations of Bible stories for their Explore the Bible curriculum. They were excellent clients and I appreciated the work so much, but I felt that it was time to move on, and make room in my schedule and portfolio for new types of work. 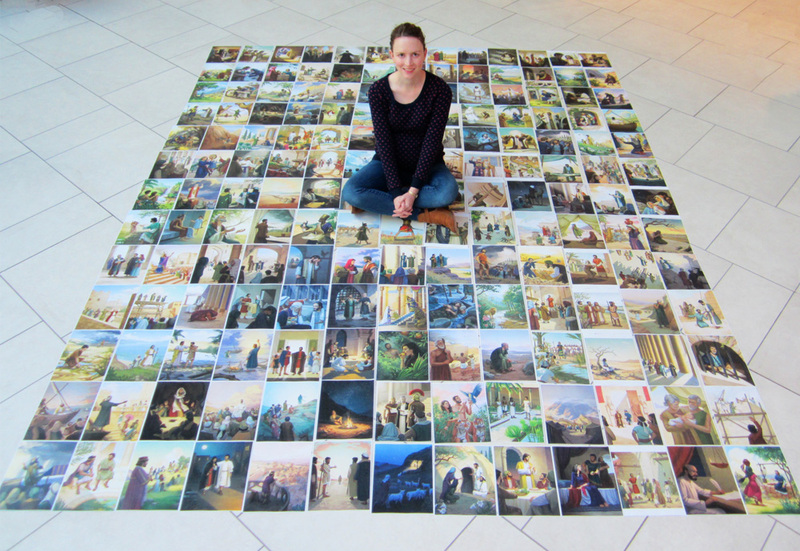 I wanted to do a commemorative photo of all the art laid out on the floor, like Elisabeth Alba did when she finished her tarot deck illustrations. 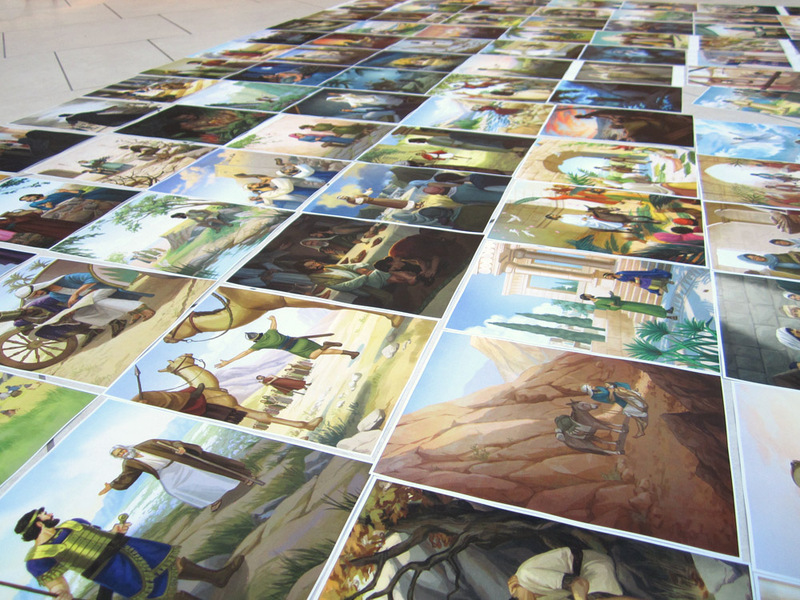 But after having them printed I realized that I would probably not be able to fit them all in my apartment. I panicked for a while, wondering where in the world I could find a space big enough for this. Then I went to do some Christmas shopping at the mall, looked around, and thought, "hey, maybe this would work." 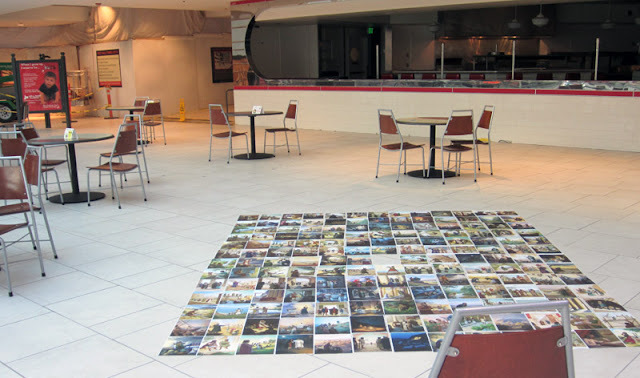 So at 8:30 yesterday morning, my husband and I arrived at the mall and chose a desolate corner of the food court to set up. I thought I was being clever by doing it early in the morning, before the stores opened. But it turns out that malls have these things called "security cameras" and "security guards." Luckily the security guy was very nice and once I explained to him what I was doing he was cool with it. I hope they get a kick out of it! On Thursday I'll talk about the artistic lessons I learned from drawing so many illustrations in the same series. See you then! 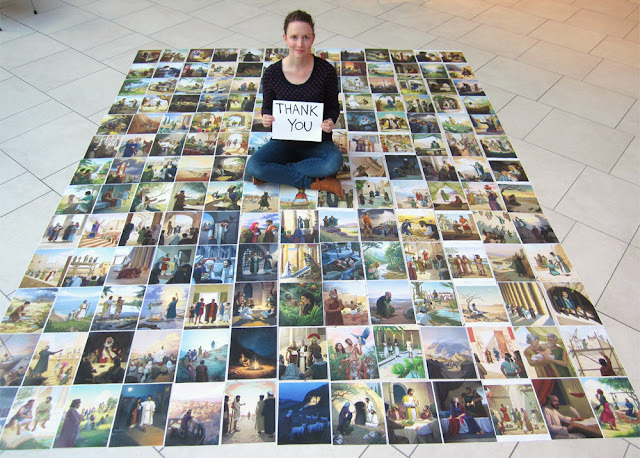 What a clever way to celebrate such an amazing project!